Alexander Jolley received his undergraduate degree from Brigham Young University in 2002. 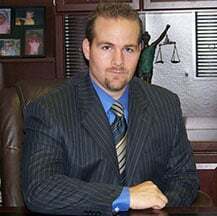 Shortly thereafter, he began Law School at Marquette University School of Law in Milwaukee, Wisconsin, and later received his Juris Doctorate from Santa Clara University School of Law in Northern California. During his three years of law school, Alexander received several prestigious awards in research, writing, civil rights/public remedies, and public interest practice. After law school, Alexander accepted a position with the United States Small Business Administration helping hurricane victims recover from their tragedies. His responsibilities included drafting real estate loan contracts, reviewing documents for state and federal compliance of regulations and leading large teams of Attorneys and Paralegals. Alexander is a member of the J. Reuben Clark Law Society, Texas Young Lawyers, and the American Bar Association. He is fluent in Spanish. In his spare time, Alexander enjoys traveling with his family, playing sports, and riding his Can Am Commander Side by Side in the Utah back country.